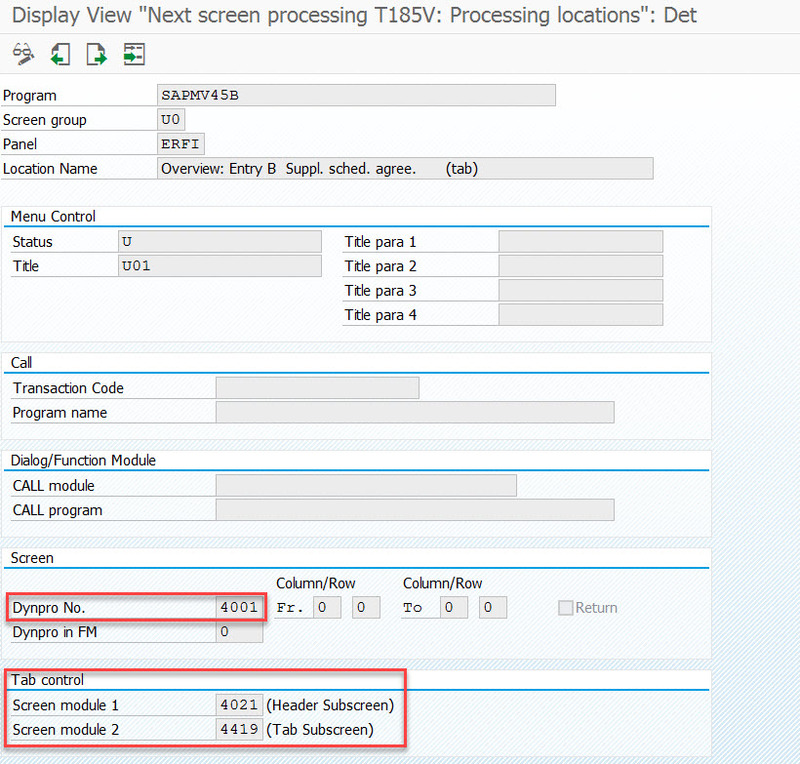 SAP SD provides very dynamic approach to determine the sales document screen sequence. The user interface picks up different sub-screens to work with different business processes. The various user interface components are controlled by the function codes which are defined in the screen sequence group. Let’s go to system to explore how screen sequence control works. In this example, the screen sequence group “LL” is defined for sales document type “LZ”, and the overview screen function code is defined as “UER2”. 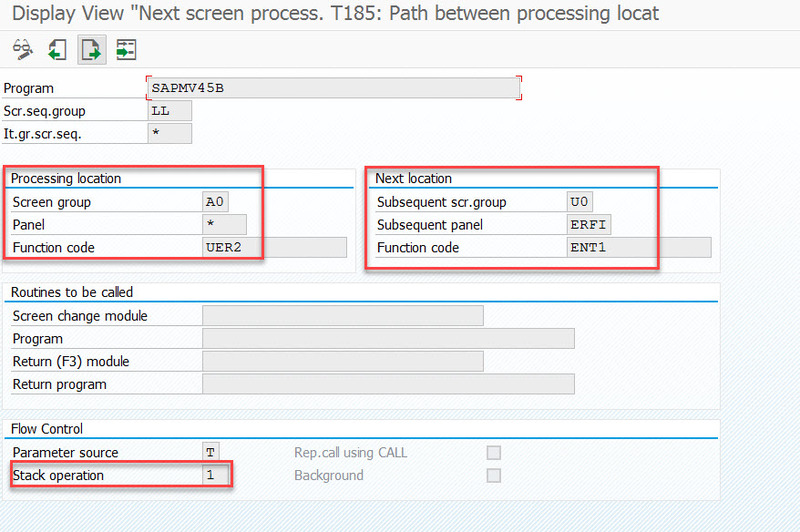 How are those settings functioning in controlling user interface can be found several tables which are defined in transaction code “VFBS”. The transaction code “VFBS” is used to control the screen determination for sales document. 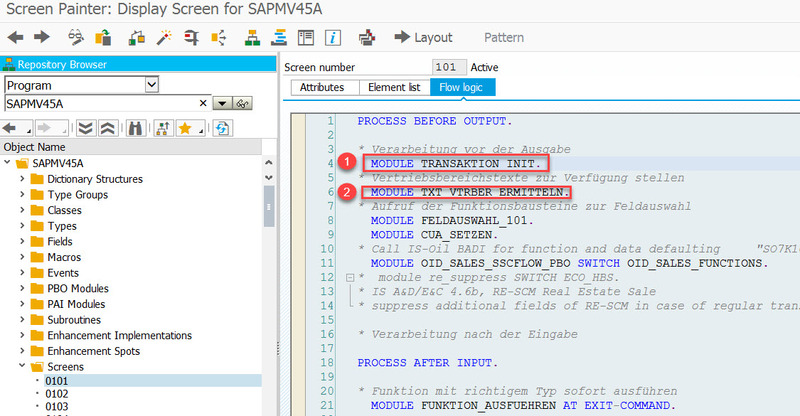 In program logic, the program ID of sequence control is routed to “SAPMV45B” when transaction triggers to the main page of sales document. 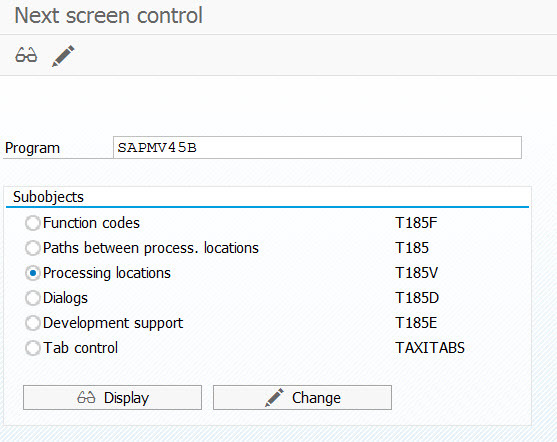 Now let’s see how function code controls screen sequence in detail. 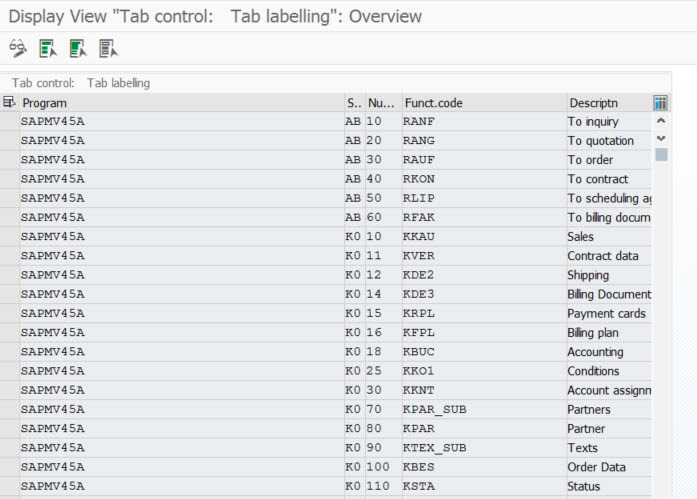 Settings in table T185F will be used to control what information is required in table T185. This table is used to define the paths between current location and next location. For example, from the initial screen of sales document, the current screen group is “A0”, and the function code is “UER2”. This table is used to define the technical detail, such as screen number. 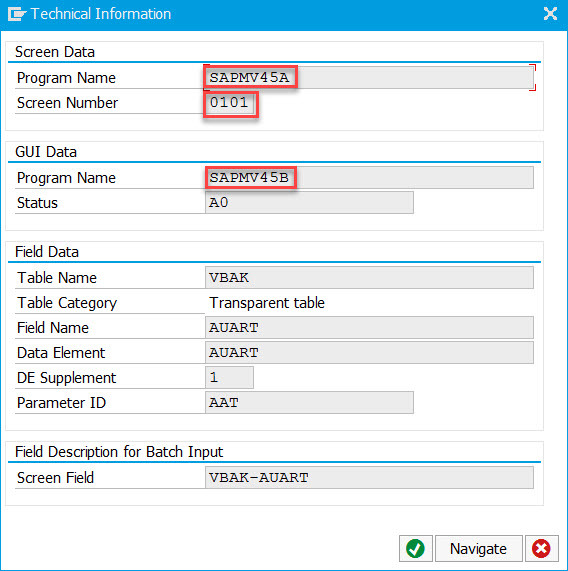 Here field “Panel” was defined in table T185 according to previous step, and main screen number “4001” is defined here. 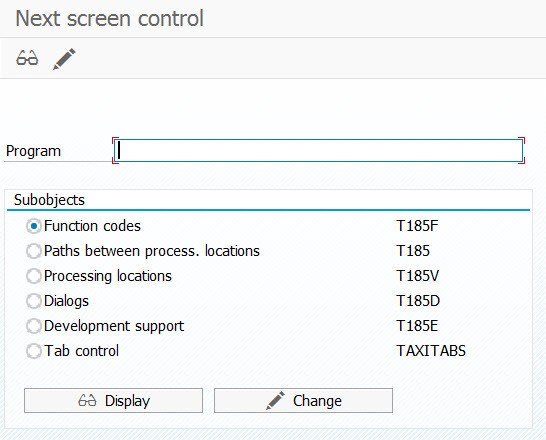 The screen group defines tab control. 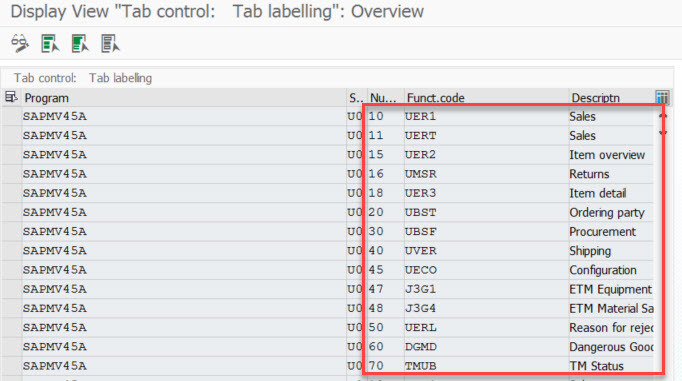 For example, “U0” represents overview table control. 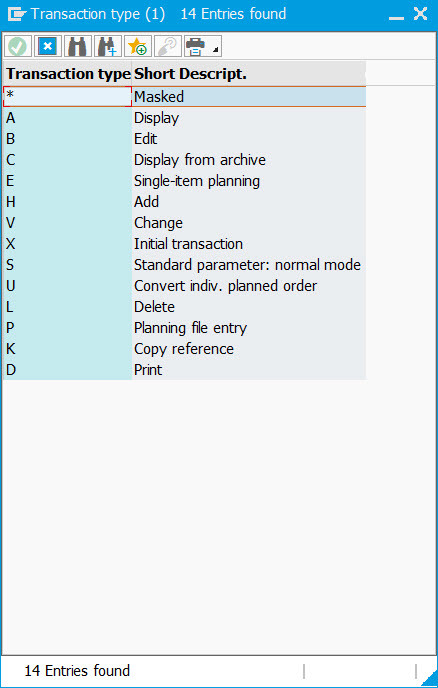 The column number defines sequence of overview tab. The function code “UER1” and “UER2” which were assigned in the sales document type will put the default active tab. 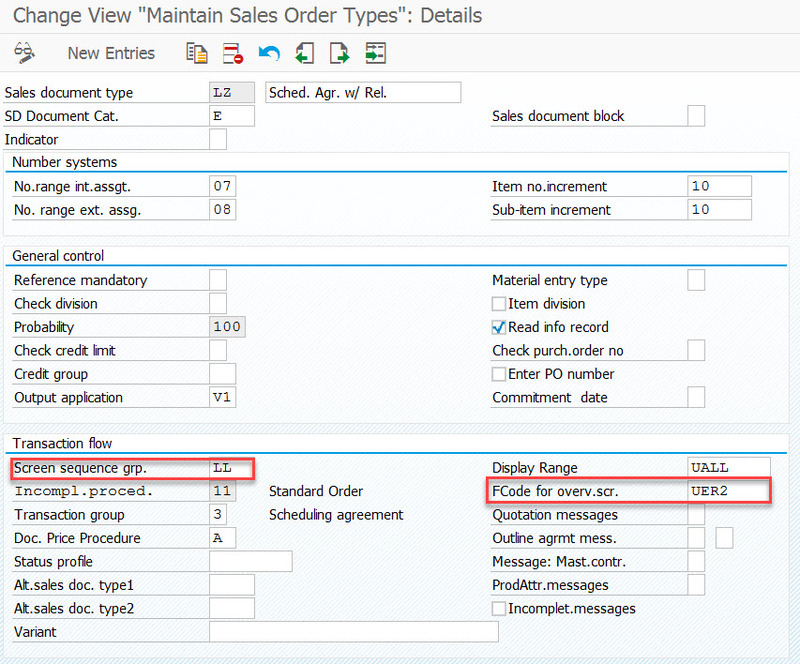 For example, the first tab “Sales” is set as default tab if creating sales order (document type “OR”) and the tab “Item overview” is set as default tab when creating scheduling agreement (document type “LZ”). 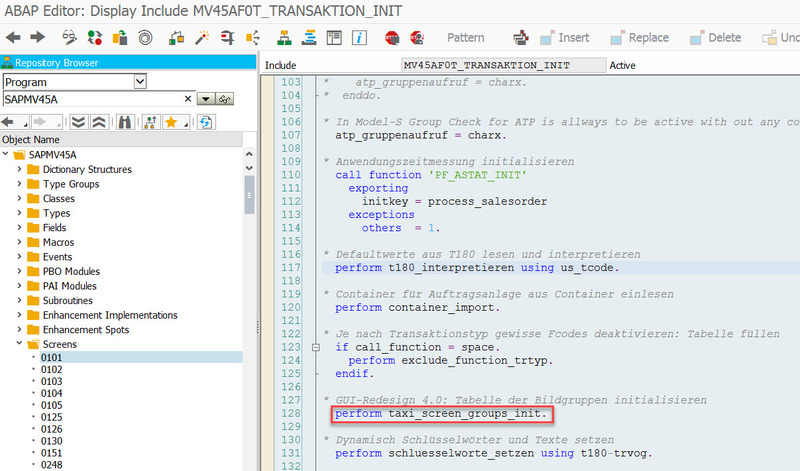 In step 1 the transaction VA01, system will prepare some default value based on transaction code. 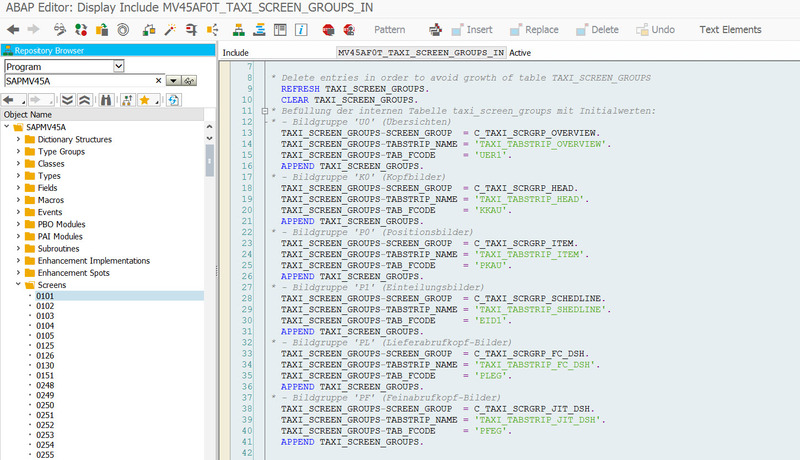 For example, the table T180 is used to store the screen sequence default value by transaction code. The screen sequence control information is determined in the PAI module of screen 101, which is the initial screen for sales document creation. Initialize the main screen and deactivate all unnecessary function codes. The second one will filter out those unnecessary function codes. Call header sub-screen and call body sub-screen. More investigation will be shared later. Great Blog – I’ve changed the screen sequence before. For me – it didn’t work out. There are just so many dependencies. Perhaps I’ll be able to do that in the future on higher levels of SAP. You are right. When I was debugging SD application, there were so many enhancement points and exits which introduced very complex dependency. I had to open Google translator to translate comments from Germany to English. Indeed, it was painful, but worthwhile. This was a very interesting blog. 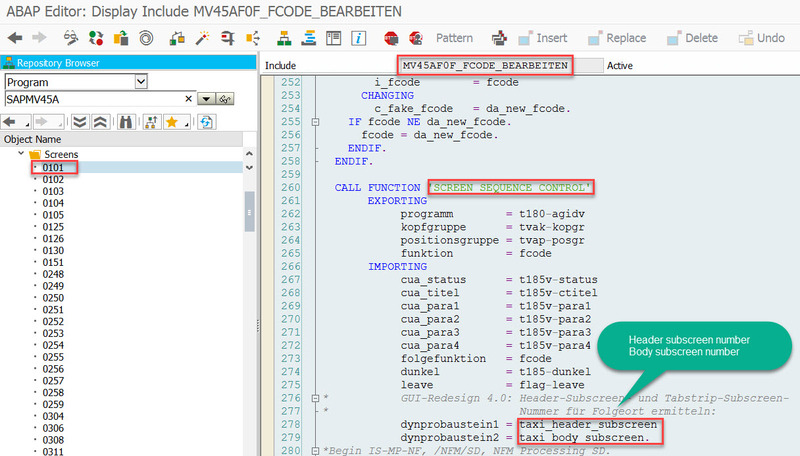 However I have found the effort involved in “wrapping” sales order creation in your own Z code (be it DYNPPRO in the GUI or more recently UI5), and then calling a BAPI, is far less than battling with the standard SAP code. And it is a battle. SAPMV45A despite giving a truly amazing amount of functionality, is a horror on the inside, and a textbook example of monolithic programming, chock full of examples of what you should never do any more e.g. SHARED PART. 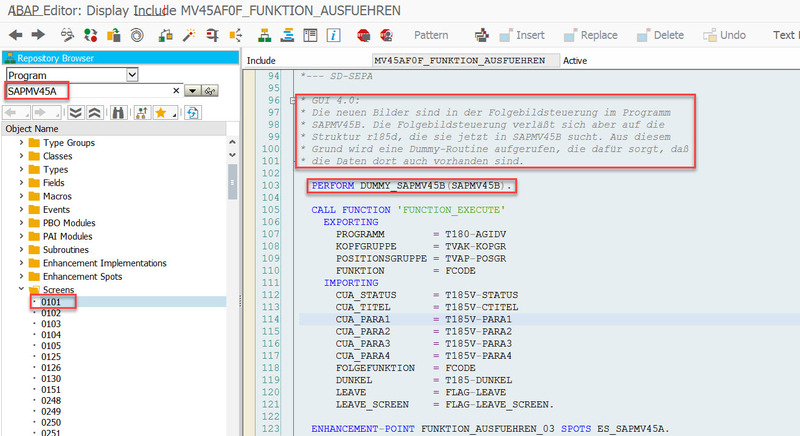 The greatest irony, is that SAP decided to write ME21N in all object orientated code, and they missed the point totally, the point being that well written OO code should be easier to understand, so ME21N is far more difficult to debug than VA01. In any event the problem with standard SAP screens is that they had to be all things to all people, which is why there were so many tabs all filled with hundreds of fields, and each company only need about six fields. So it does not matter what order those screens appear in, it is still agony. That is why you need some sort of wrapper to radically simplify matters for any given organisation. Thanks for your comments! 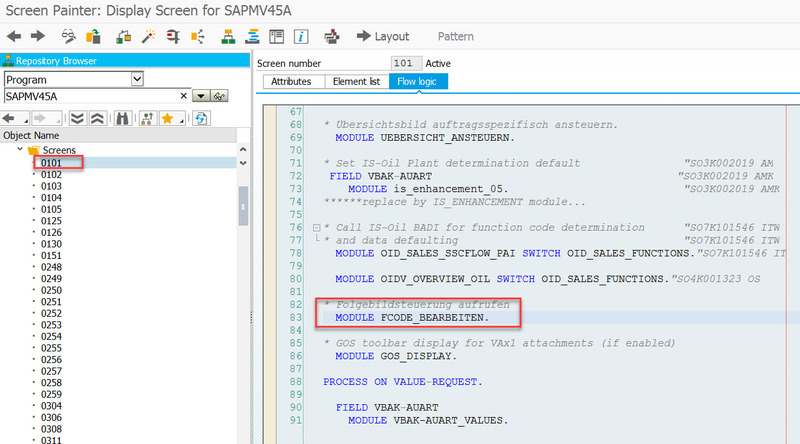 It gives me more thoughts on simplifying SAP standard transactions. 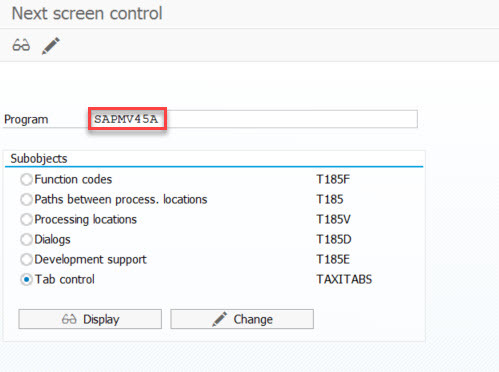 I was curious about how screen sequence group setting was working in the sales document type configuration, so I started to investigate screen sequence controls. As the logic inside of SAPMV45A is so complex, do you see any possibility that this application will be refactored or simplified? Frankly I don’t think it will happen. 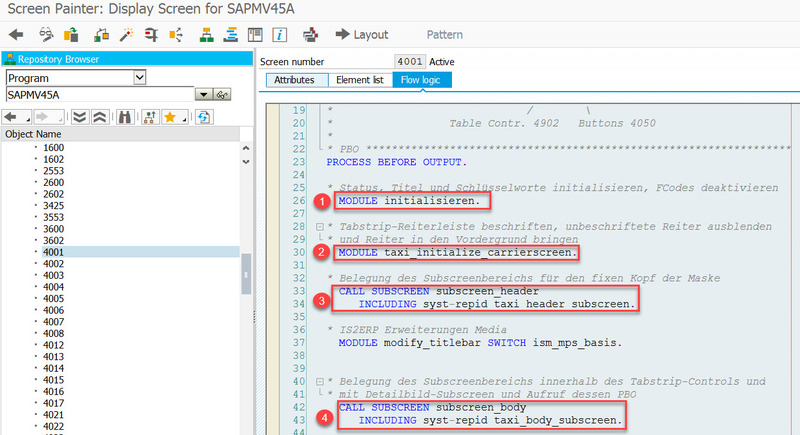 SAP screen personas would be an option to simplify UI screen of it, but not the backend logic. We rediscovered this functionality during an ERP upgrade to EhP8. 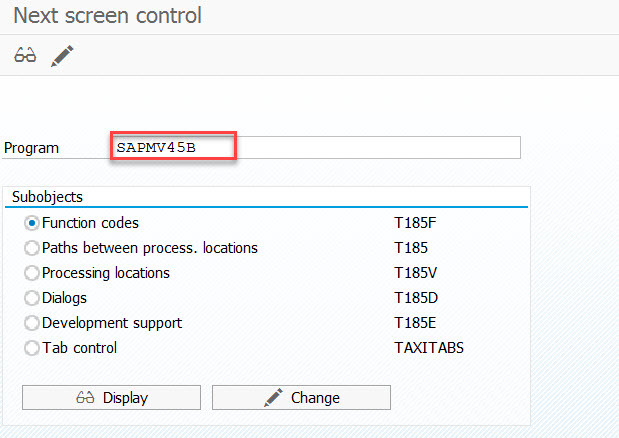 We introduced new fields to SAPMV45A item subscreens in the 4000 range by copying them to screens in the 9000 range and adjusting the copies with the new fields. Of course you still have to create repairs for the objects you create, and you have to modify V_T185V in SM30. The contents of V_185V are reset to standard at upgrade time (which is why we found missing fields) and it gives you a message: ‘Maintenance of this table is not currently permitted’ when you go to update it. Yes. You are correct. I think modify T185 series table is not recommended. This is why there is no official document available about how screen sequence control is working. Alternatively we’d better to utilize exits or BAdI to enhance new fields on standard screens. Otherwise, the modification would be overwritten by standard upgrade. Comprehensive blog with screen shots. Keep sharing on various standard functionalities.